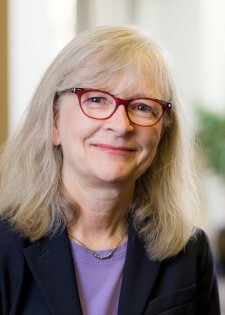 William Mitchell College of Law: professor of law, 2007-2015; associate dean, 2008-2013; associate professor of law, 2002-2007; adjunct professor, 1998-2002. Mediator, Erickson Mediation Institute, Minneapolis, 2000-2002. Consultant, Northeast Metro Coalition for Affordable Housing, Minneapolis, 1995-1999. Consultant in domestic violence counseling and litigation and law reform, 1989-1993. Attorney, Legal Aid Society of Minneapolis, 1988. Attorney, Land of Lincoln Legal Assistance Foundation, East St. Louis, Ill., 1981-1988. Attorney, Legal Services of Eastern Missouri, St. Louis, 1979-1981. Qualified Neutral under Rule 114 of the Minnesota General Rules of Practice (family and civil). Emeritus Licensed Independent Social Worker, Minnesota Board of Social Work. My present work focuses on using research concerning the context and dynamics of intimate partner violence to re-examine current policy and practice, institute child custody-related court reform, and advance multidisciplinary cooperation. President, Association of Family and Conciliation Courts, 2013-2014; member, Domestic Violence and Child Custody National Work Group, 2009-; member, Uniform Law Commission Joint Editorial Board, 2012-; member, Editorial Board of Family Court Review, 2003-; member, Family Law Quarterly Board of Editors, 2004-; commissioner, ABA Commission on Domestic and Sexual Violence, 2009-2012; member, Minnesota ADR Ethics Board, 2009-2012; Recipient of the Association of Family and Conciliation Court President’s Award, 2008.